Trainer: Jonathan W. Kanter, Ph.D.
At the centre of all psychotherapies is a relationship between two people and a desire to connect at a fundamental human level. Yet for many of us, clients and therapists alike, deep connection is elusive: We are wired as human beings to be exquisitely sensitive to each other, and shame, vulnerability, and doubt keep us hiding our true selves. As therapists, we retreat into our professional training, focus on symptoms, and hide behind our expertise. The full power of the therapeutic relationship remains locked and opportunities for transformative therapeutic experiences are lost. Whether you are engaging in CBT, ACT, DBT, or another therapeutic intervention, This training aims to add to your professional repertoire the following: Expertise in human connection. This training will help you connect with your clients in ways that create transformative moments that far exceed symptom change. For many years, FAP trainings have been primarily experiential, focusing on the truism that we are with our clients in the exquisite sensitivity of human connection and the desire to be truly seen for who we are. In these trainings, participants practice the art of social connection with each other, exchanging vulnerabilities and learning how to connect through a series of experiential exercises. The current online training is different. Over the last seven years, Dr. Kanter has been developing, with the help of many colleagues, a more concrete, skills-based approach to training in FAP. 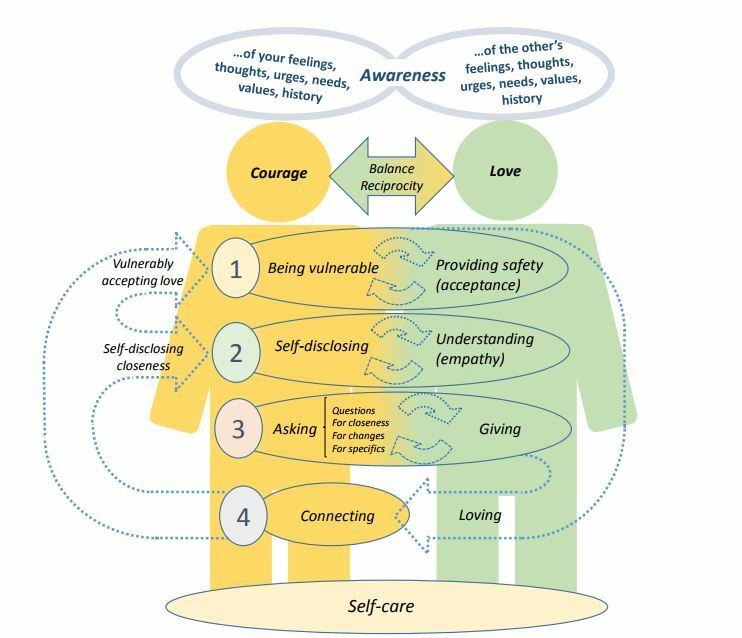 The target behaviours relevant to social connection have been defined in terms of awareness, courage, and love and formulated as a functional contextual, clinical, empirically supported model that specifies the key functional processes in easy-to-understand and apply terms. In this training, you will first learn this model through a series of experiential exercises that will help you connect better with each other and anyone in your life with whom you would like to improve your relationship. Then, simple and concrete FAP techniques targeting these key behaviours will be presented and exercises will promote learning of these skills, through modelling, engagement, repeated practice, and feedback.